This marker features a dual tip with fine (0.5mm) and bullet (1.2mm) tips. The Writer is great for all types of creative lettering and doodles. Ideal for paper crafts and stamping projects. This package contains eight markers in assorted colors. Conforms to ASTM D4236. Imported. 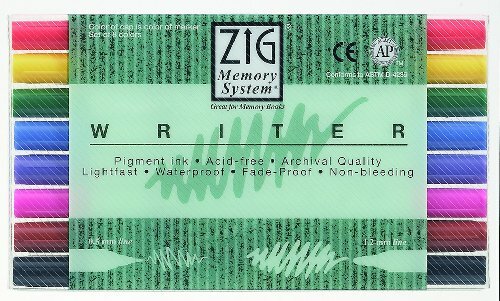 If you have any questions about this product by Zig, contact us by completing and submitting the form below. If you are looking for a specif part number, please include it with your message.